Do You Know The Deposit Count For Tesla's Model 3? Way back in the spring of 2016, Tesla announced that it had 373,000 reservations for the Model 3, which requires a $1,000 deposit form every prospective buyer. Ever since, the automaker has refused to officially give an updated tally. What gives? The company didn’t provide an update when I asked after Tesla’s annual shareholder conference on Tuesday. It’s a frustrating, alluring figure for journalists and observers, even more so now that production on the Model 3 is set to begin in the coming weeks. Yet Tesla still won’t offer a tally. Maybe it’s ballooned above 373,000, and now it’s daunting to admit? Electrek speculated last month that the total is somewhere close to 500,000 reservations, based on the total dollar amount for customer deposits. Maybe the company truly doesn’t find the number significant at all, but every single reservation holder got a small reality check on Tuesday, when Musk said that anyone who puts a deposit down now shouldn’t expect the car to arrive until the end of 2018. Sure, and despite the growing logjam, Musk said at the meeting that there are “more and more deposits every week”—despite the supposed “anti-sell” approach for the Model 3 he has deployed. How many? He didn’t say. So, here I am, screaming into the void: I want to know the latest headcount. Do you know? Know someone who does? 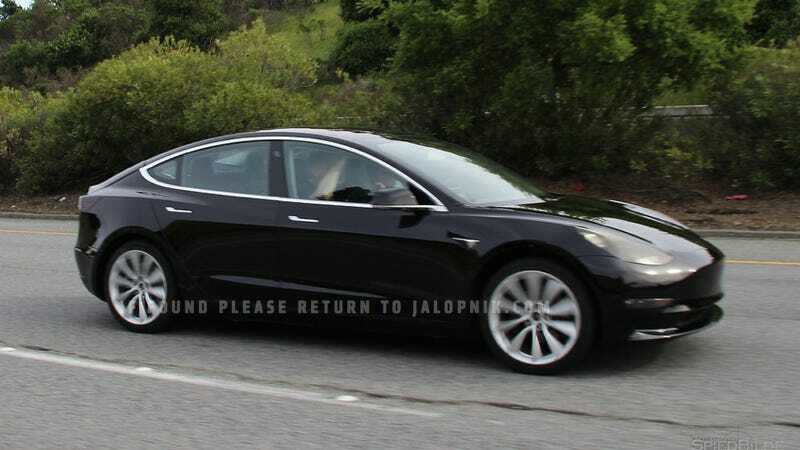 Have any thoughts on why you think Tesla won’t dish the latest number? Give me a shout at ryan.felton@jalopnik.com; through Signal, which you can find my contact info for here; or, if you hate my guts, our general mailbox is available at tips@jalopnik.com.